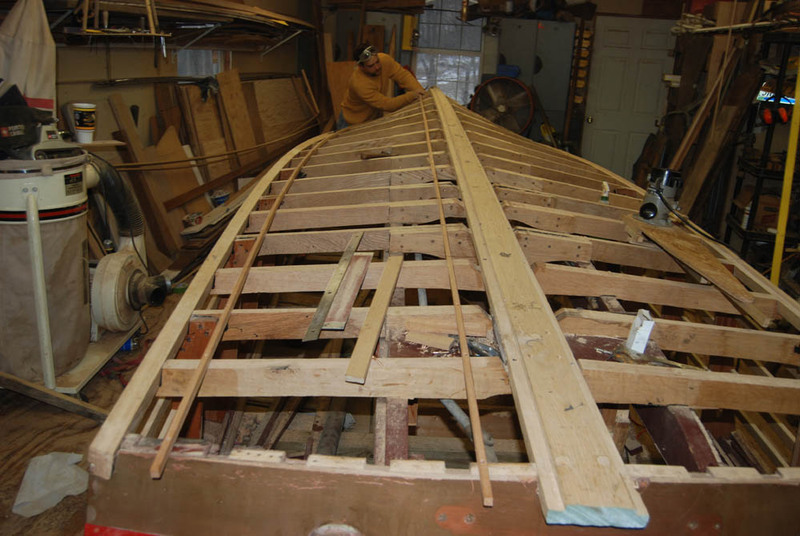 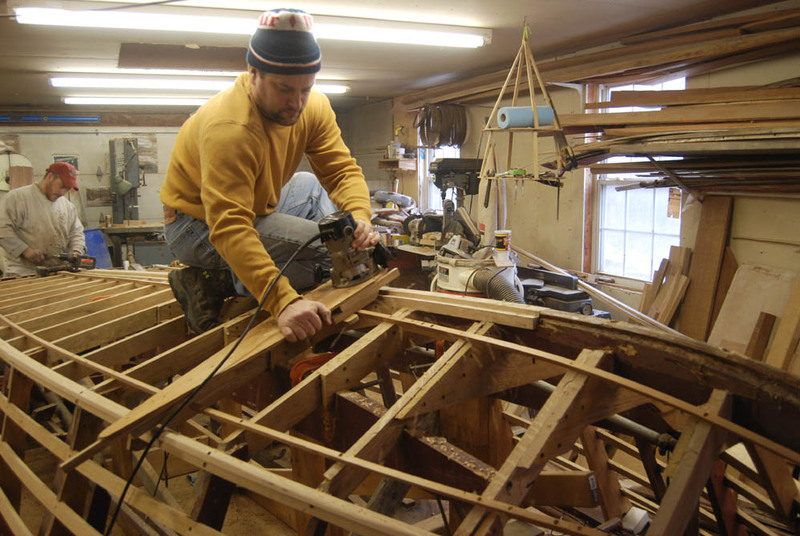 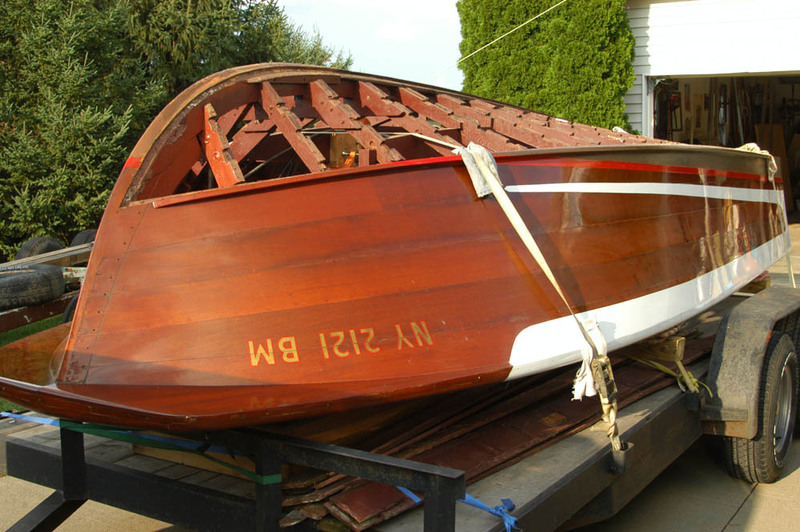 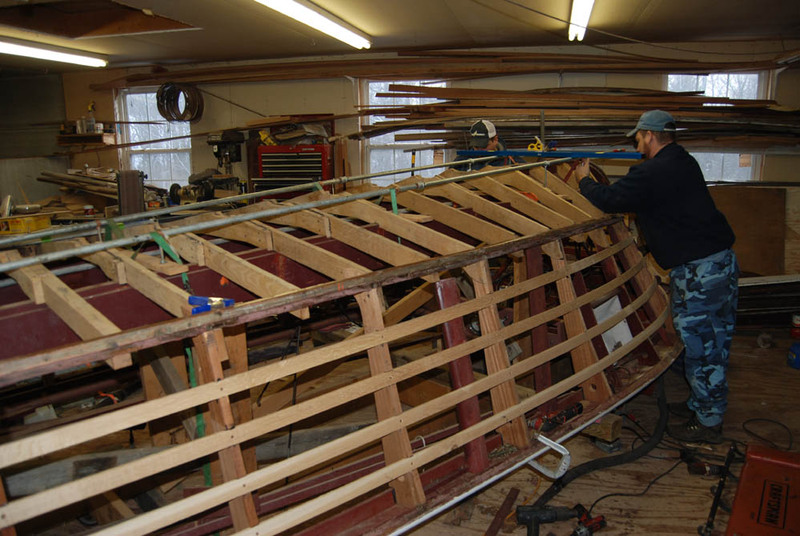 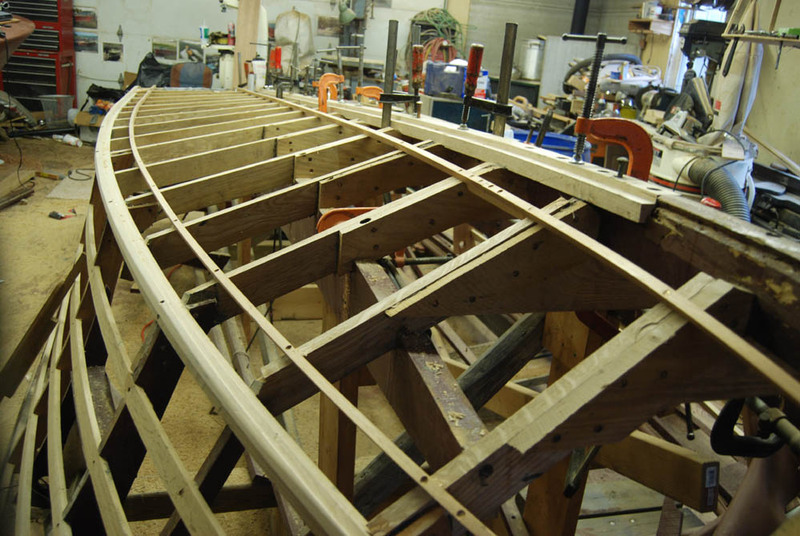 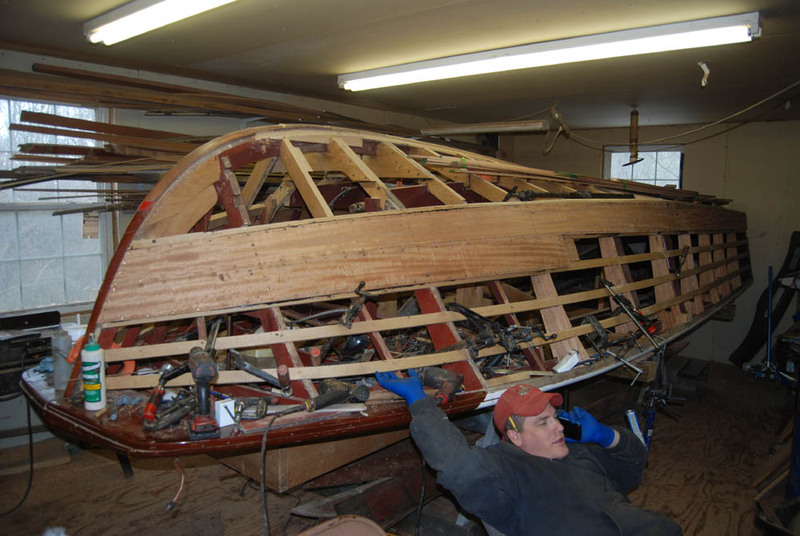 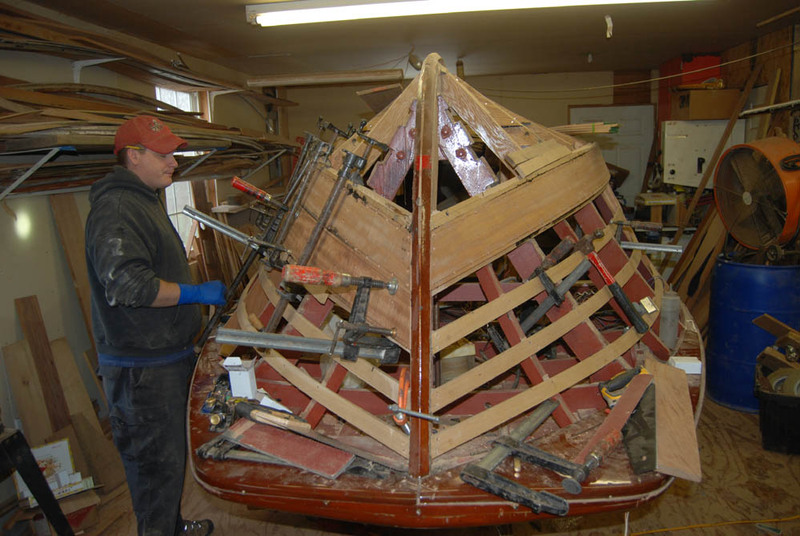 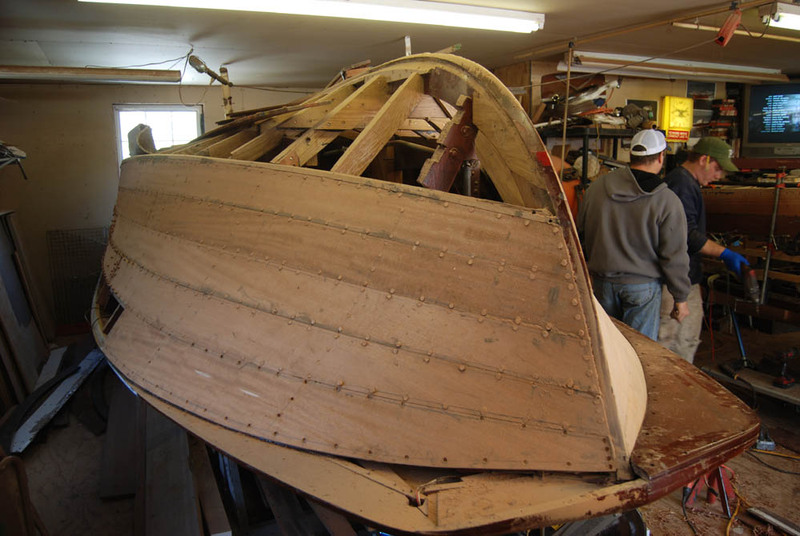 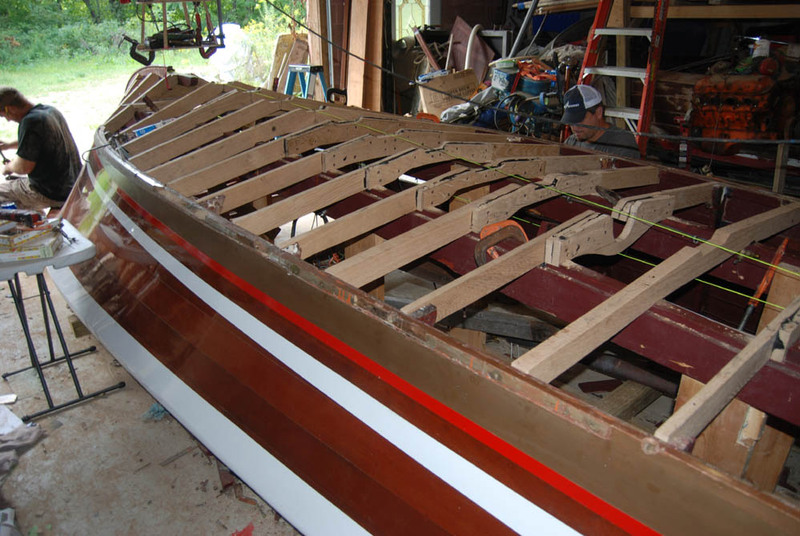 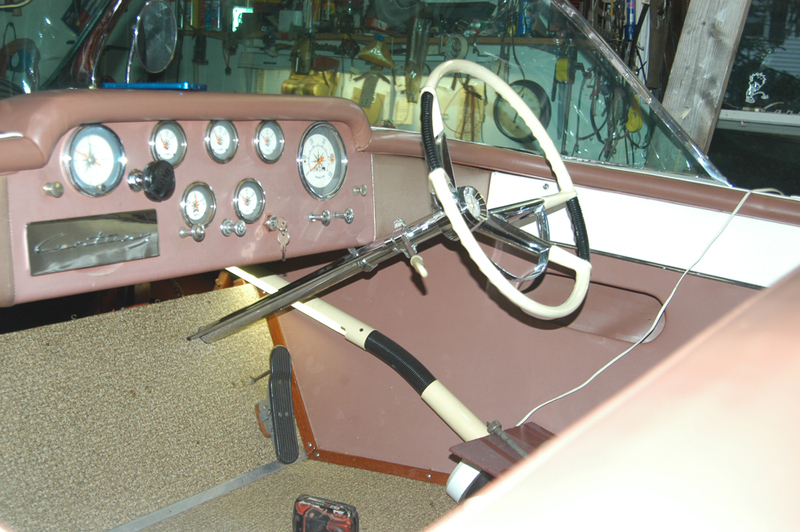 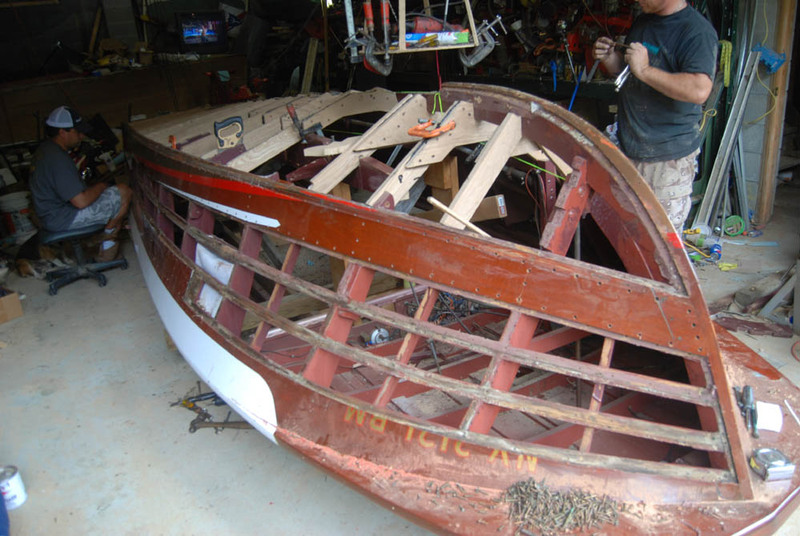 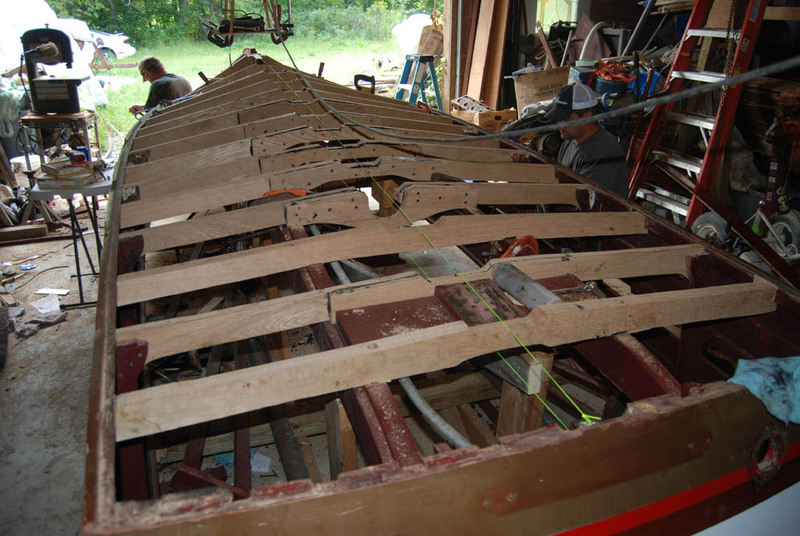 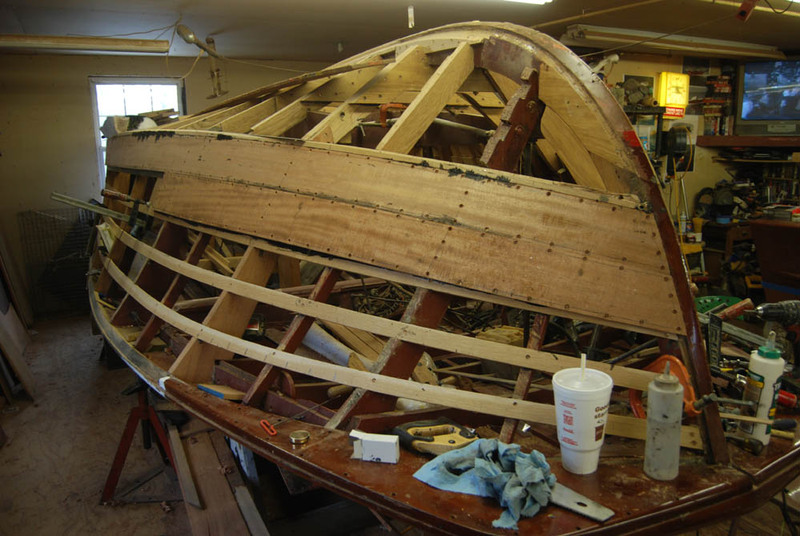 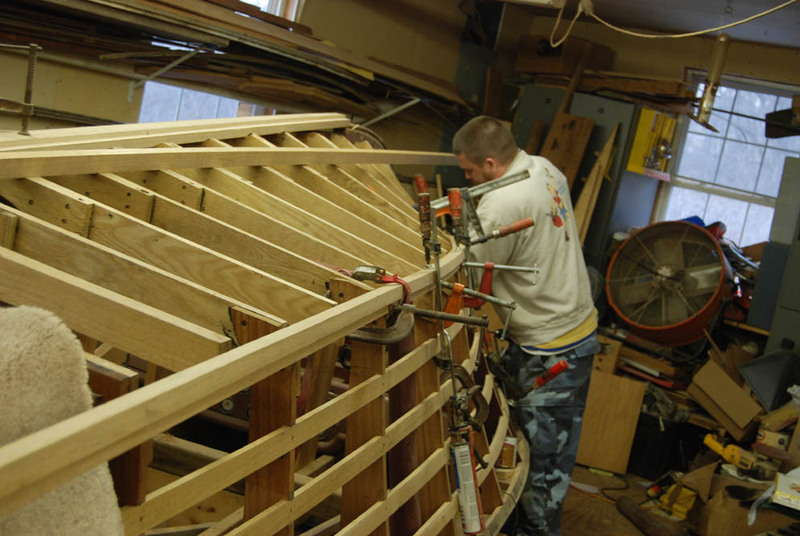 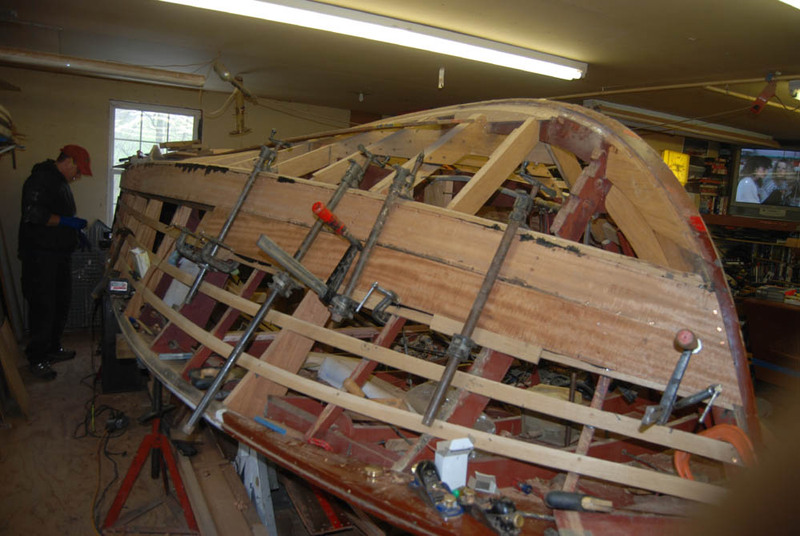 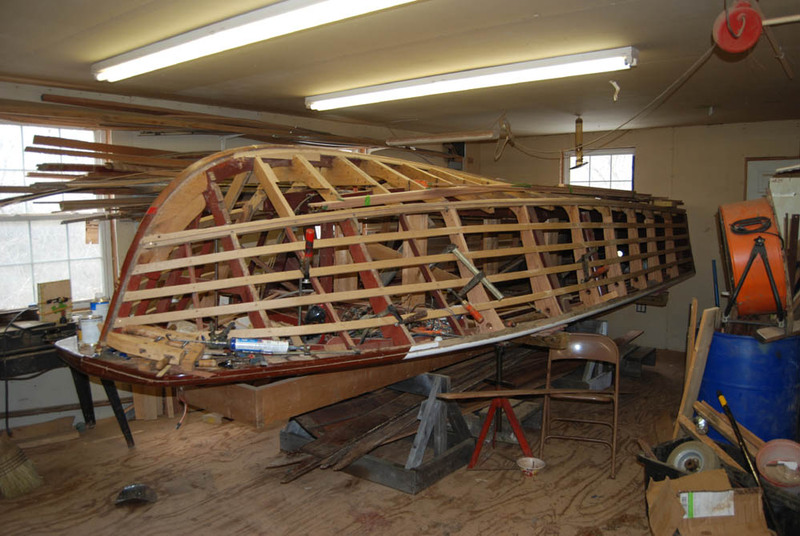 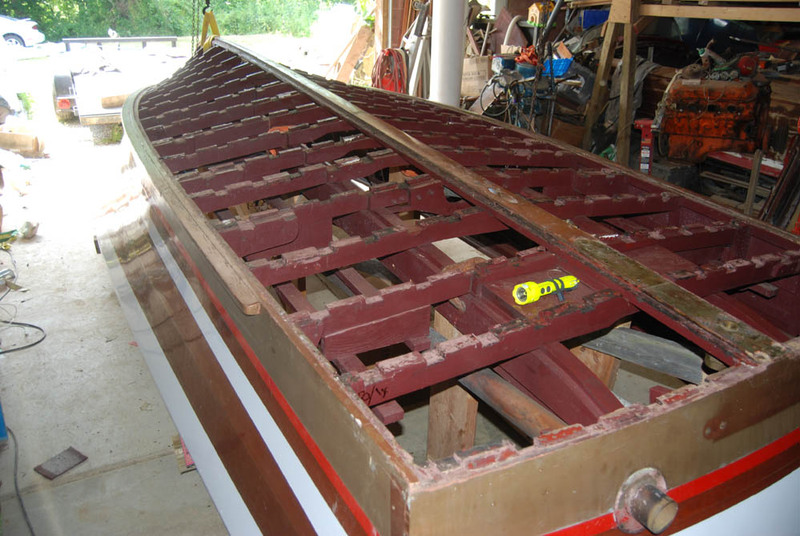 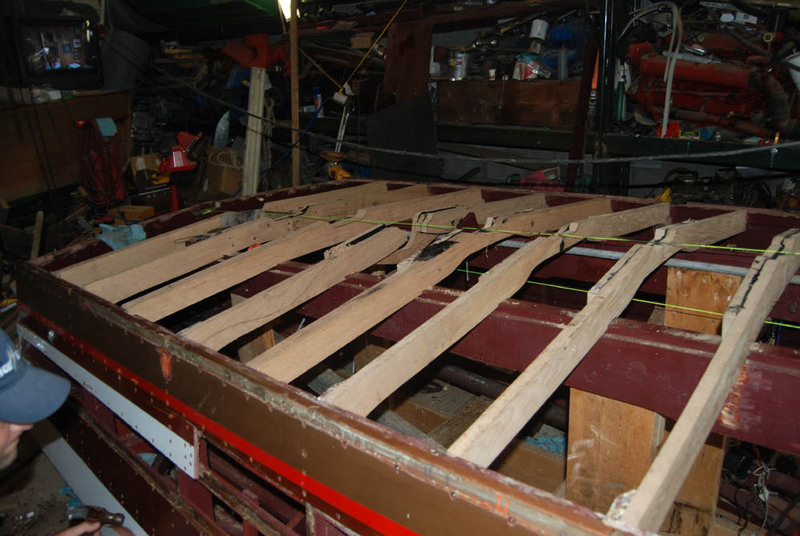 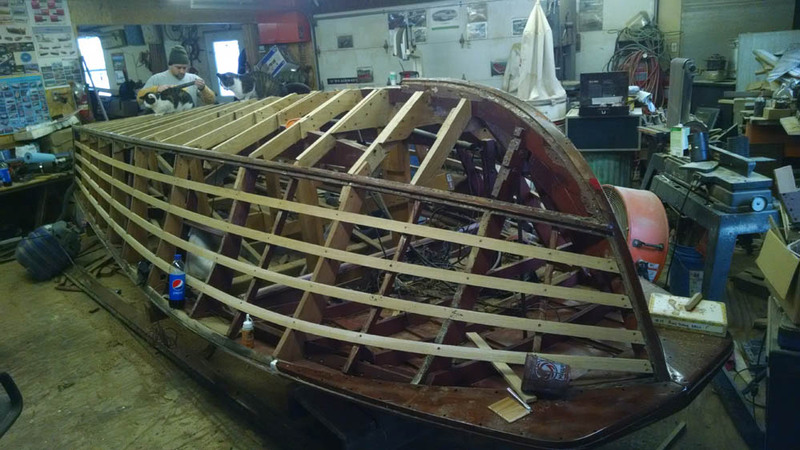 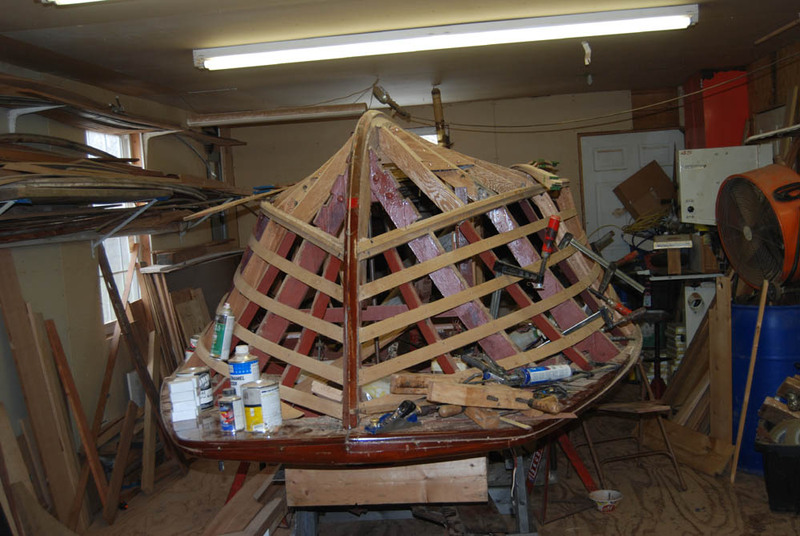 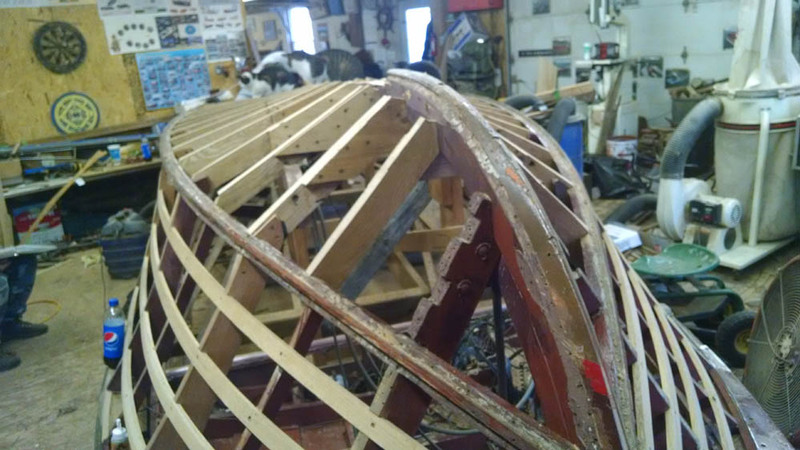 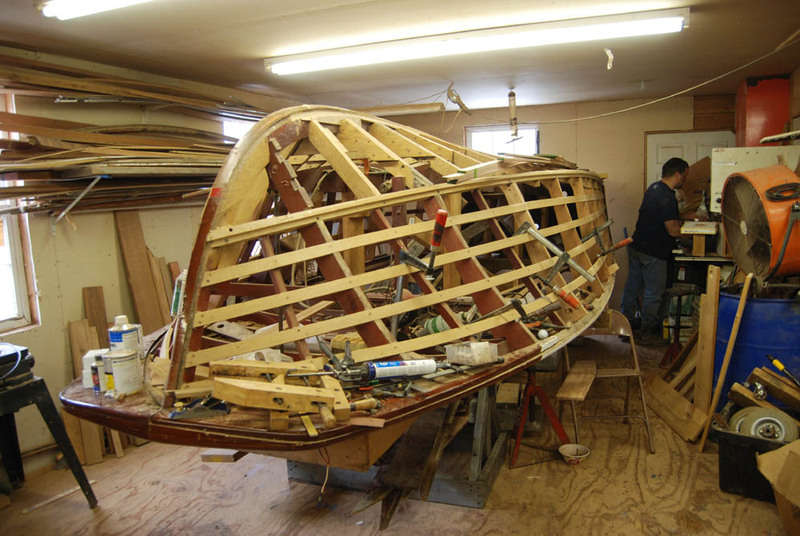 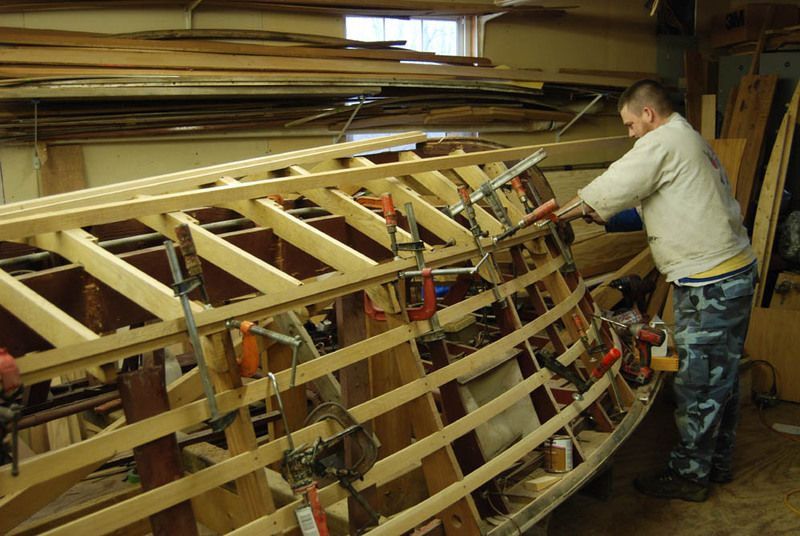 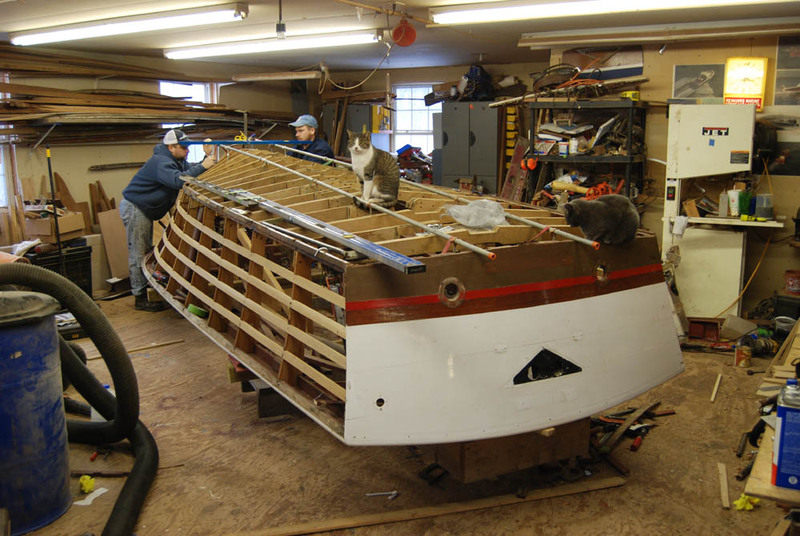 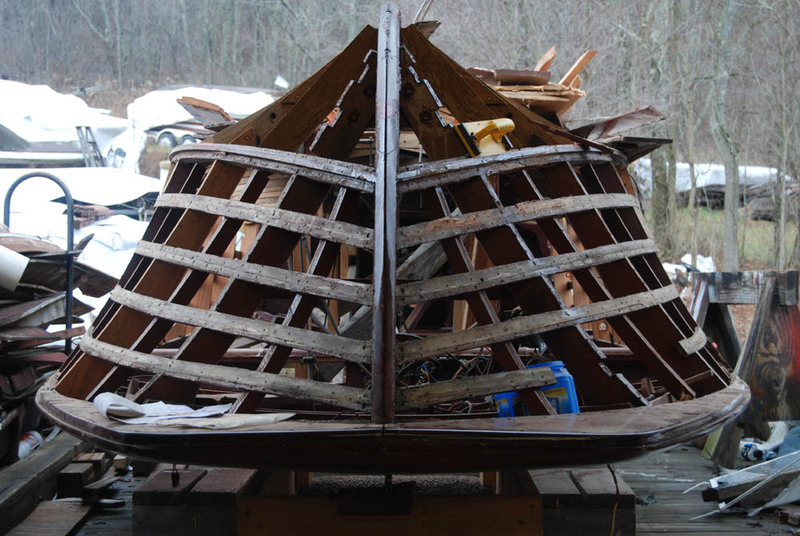 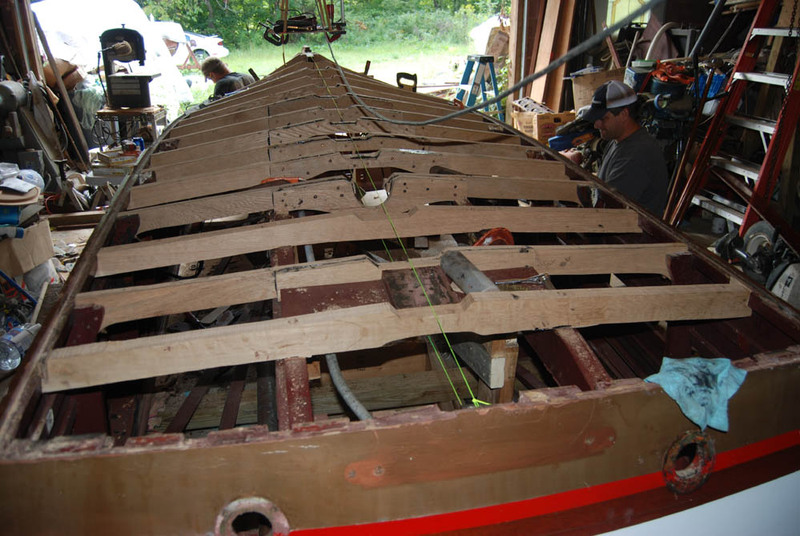 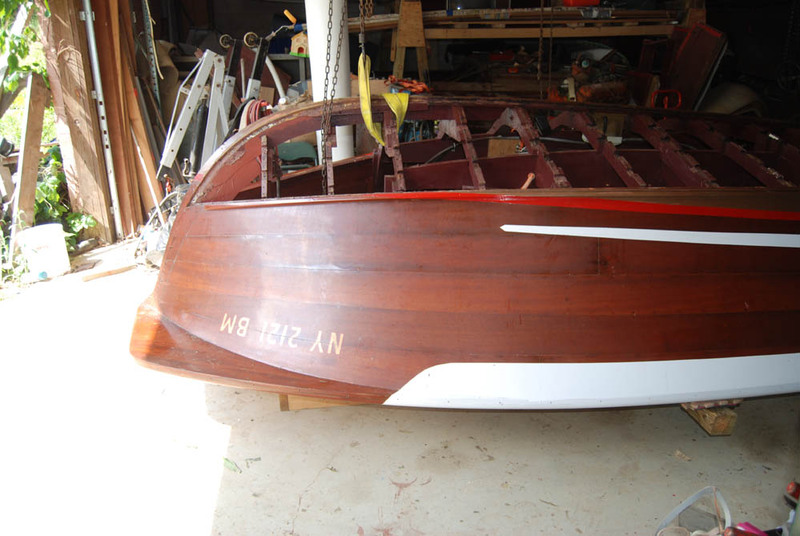 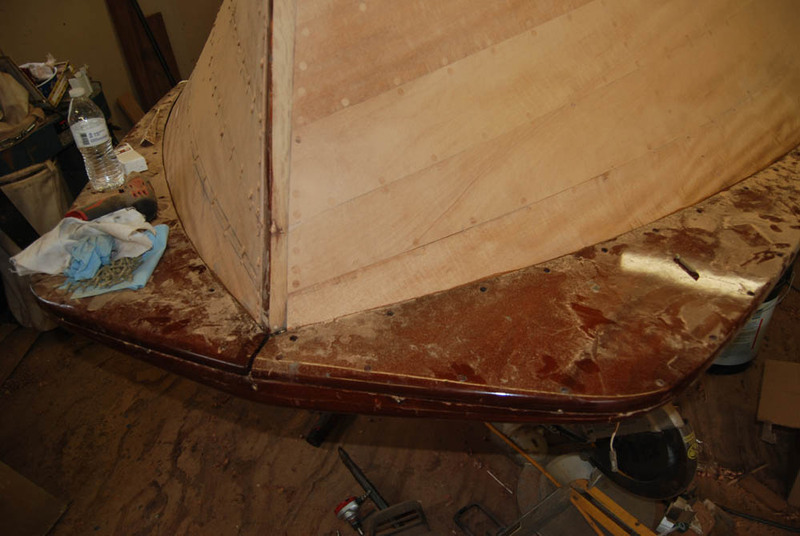 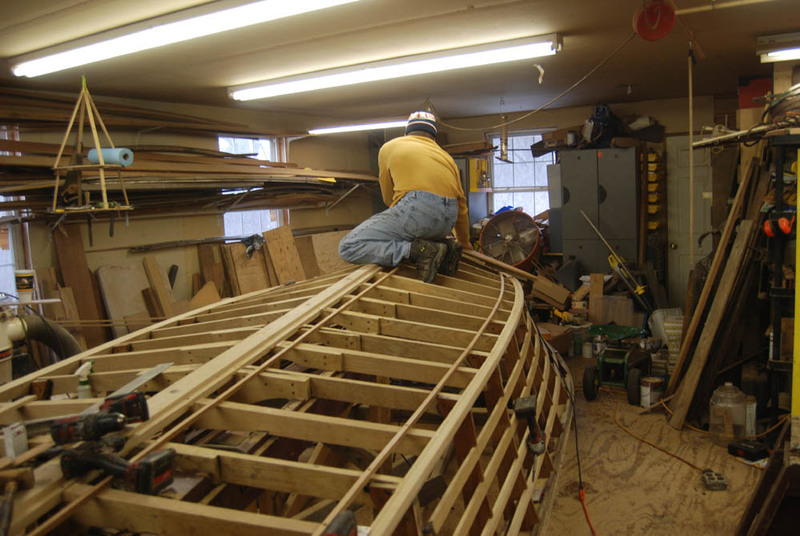 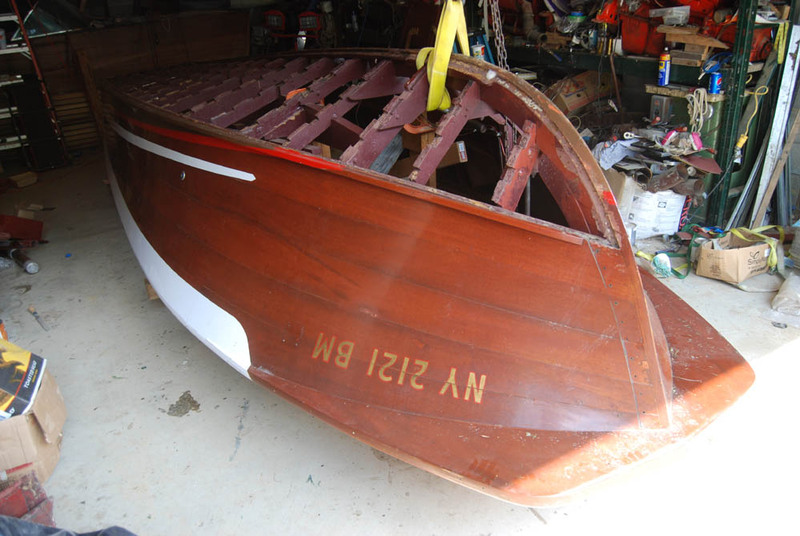 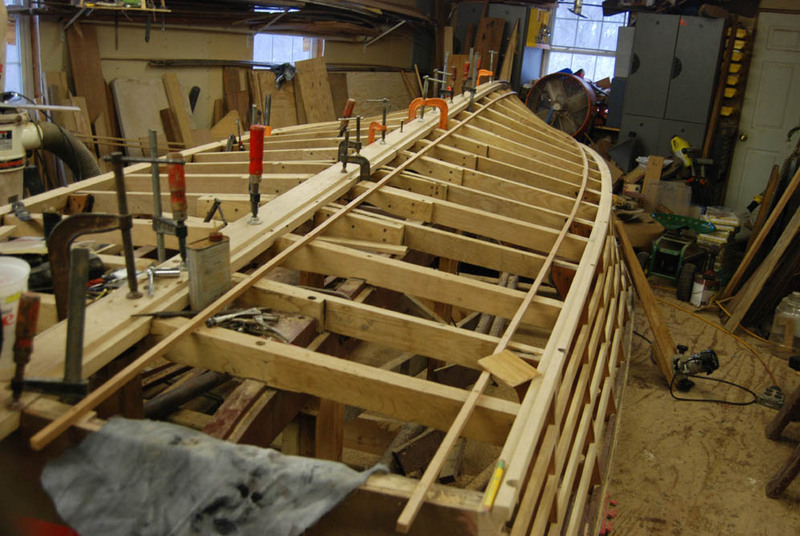 New bottom frames in, removing side planking. 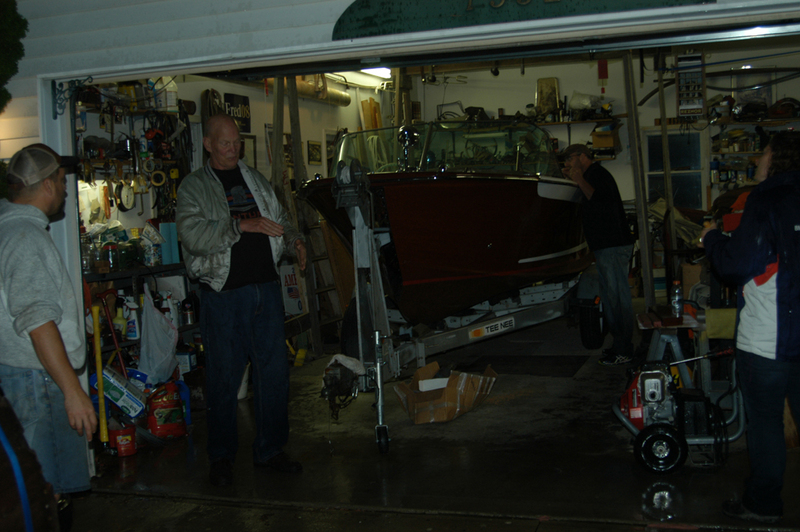 Moving it to the upper shop. 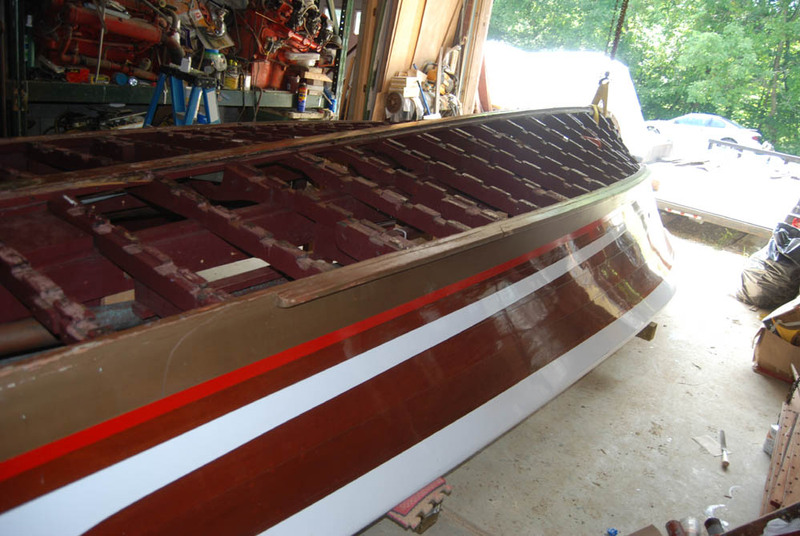 New hull side battens installed. 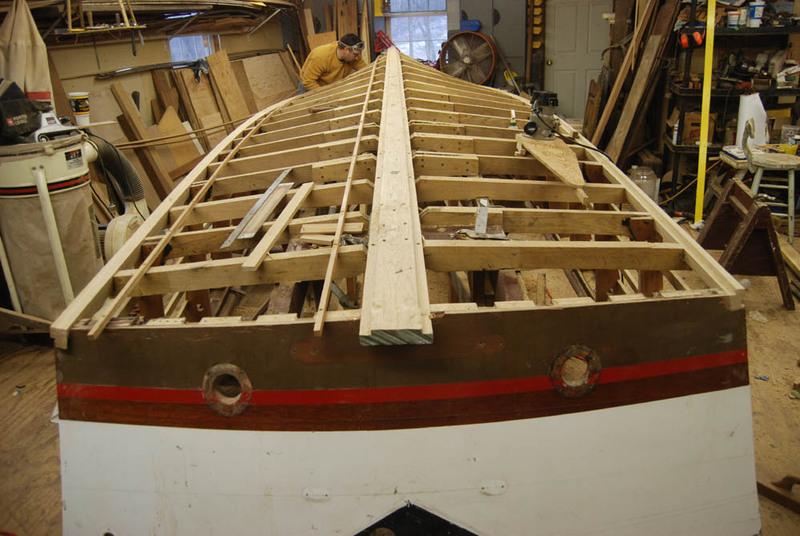 First hull side plank going on. 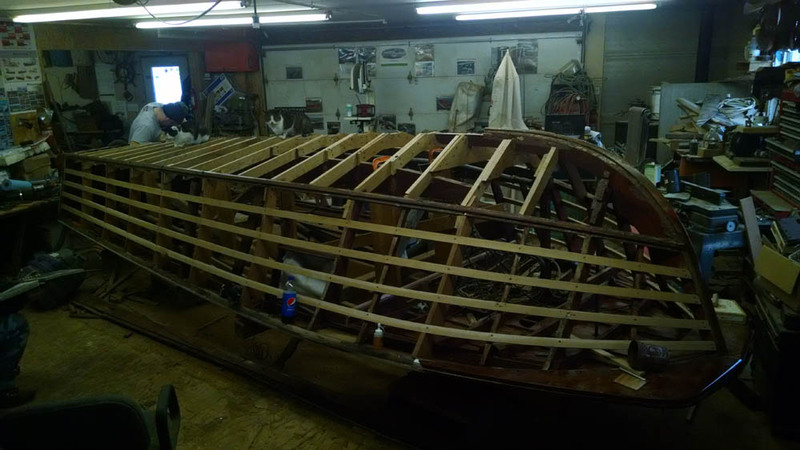 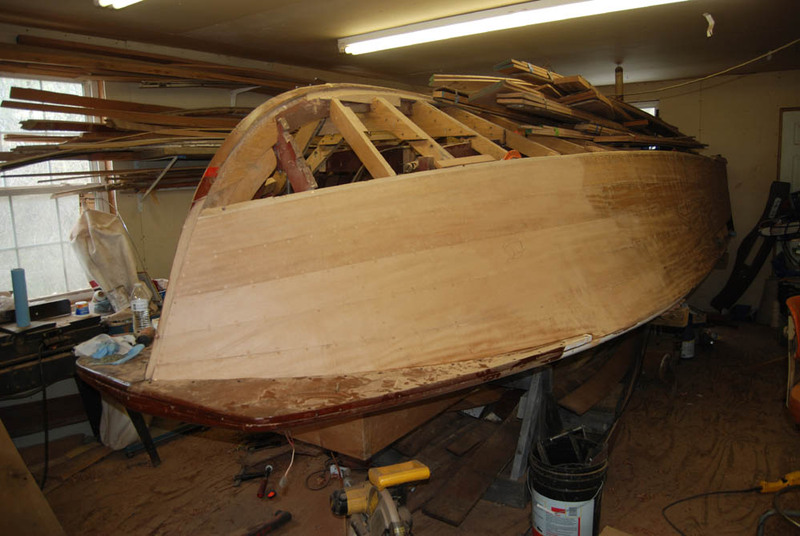 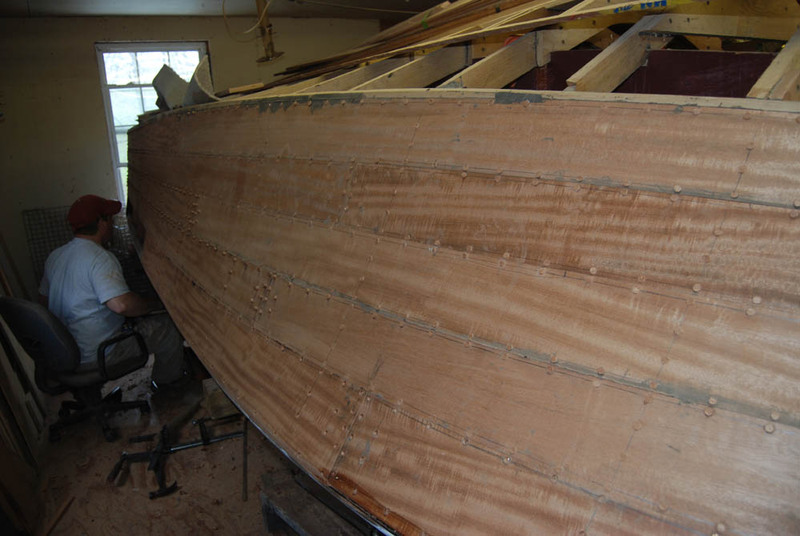 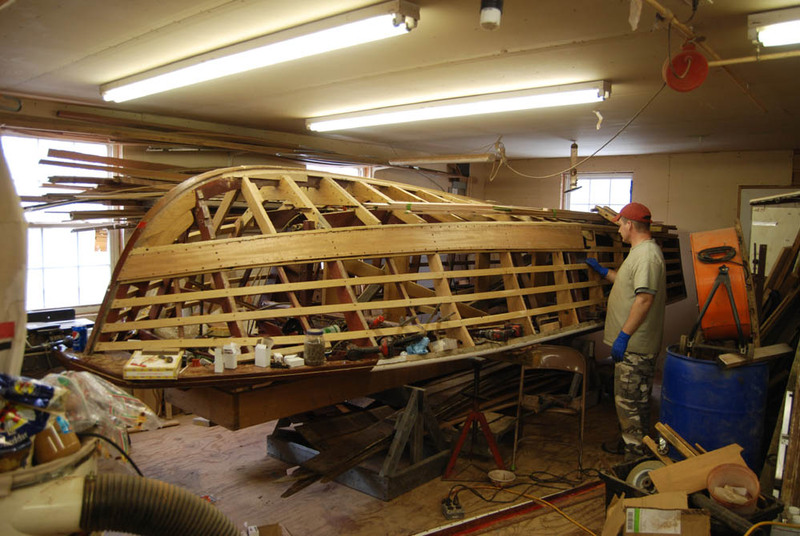 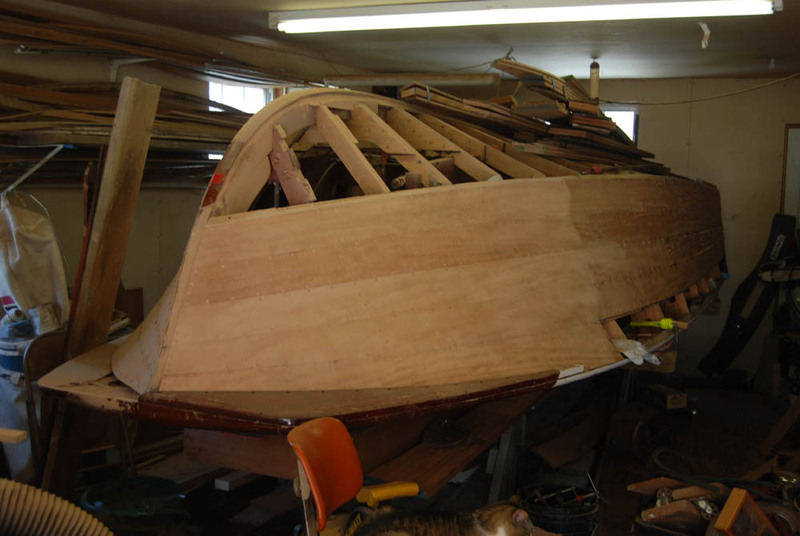 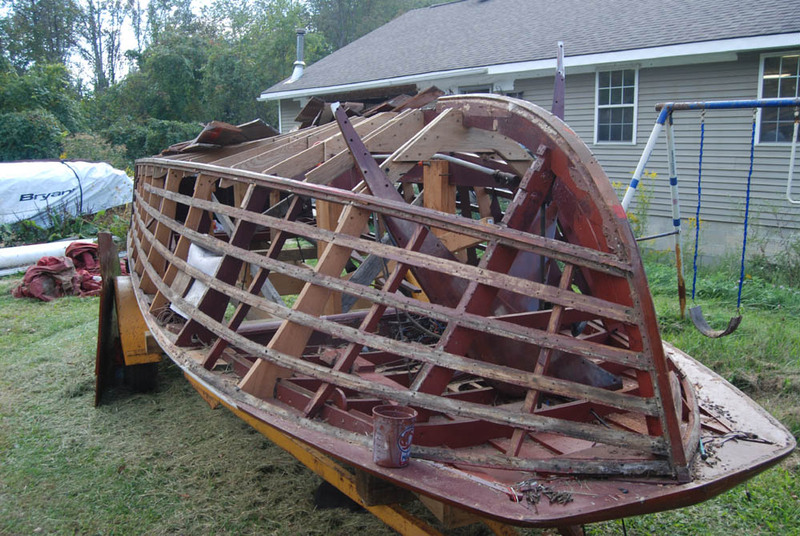 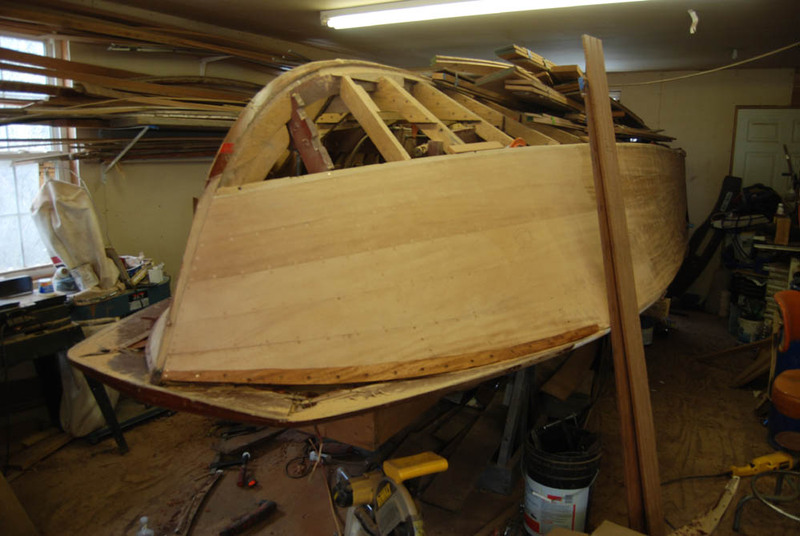 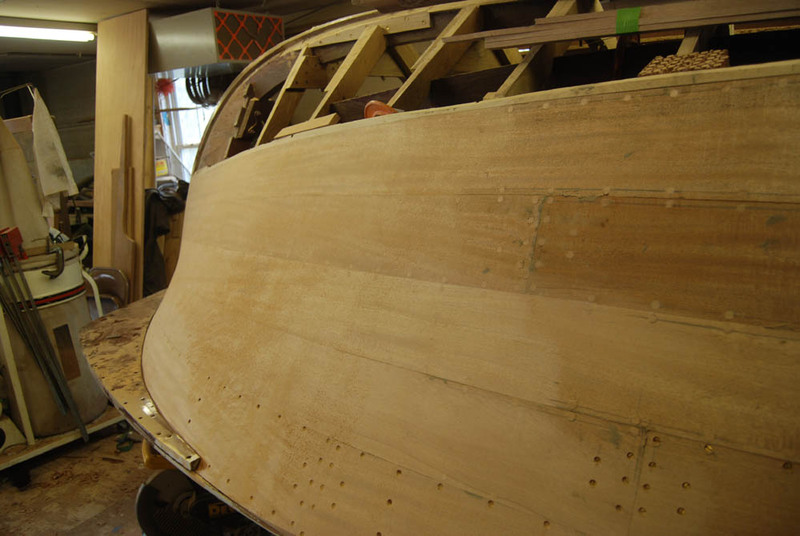 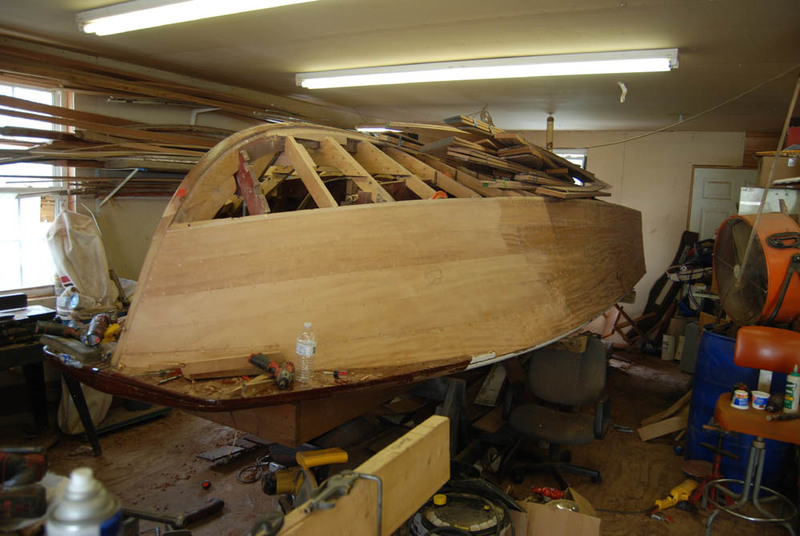 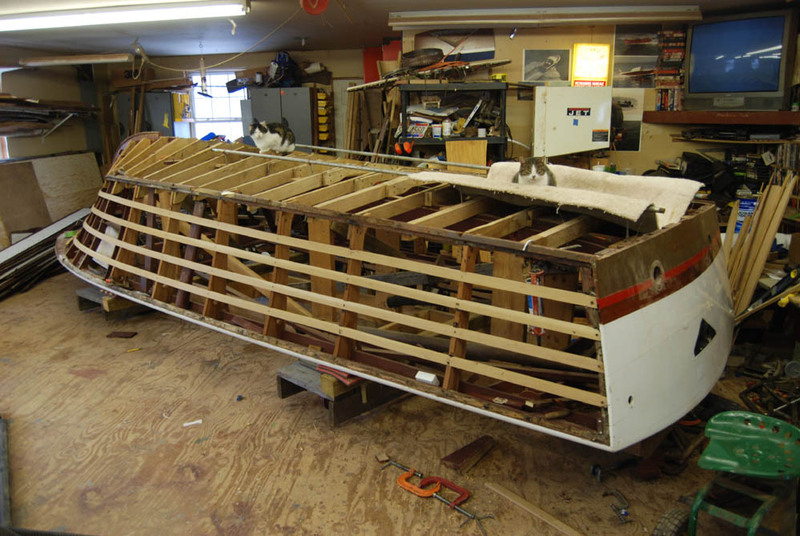 Hull sides planked up, next step is install bottom battens. 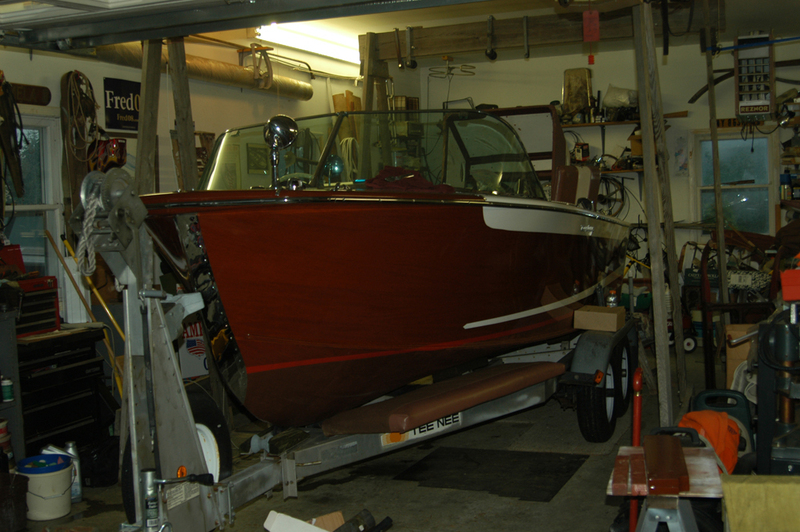 Just about finished only a few little things to do... 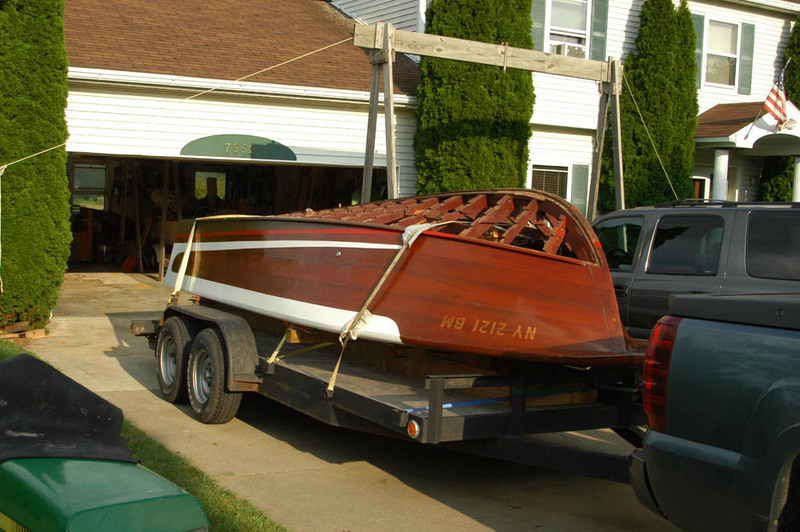 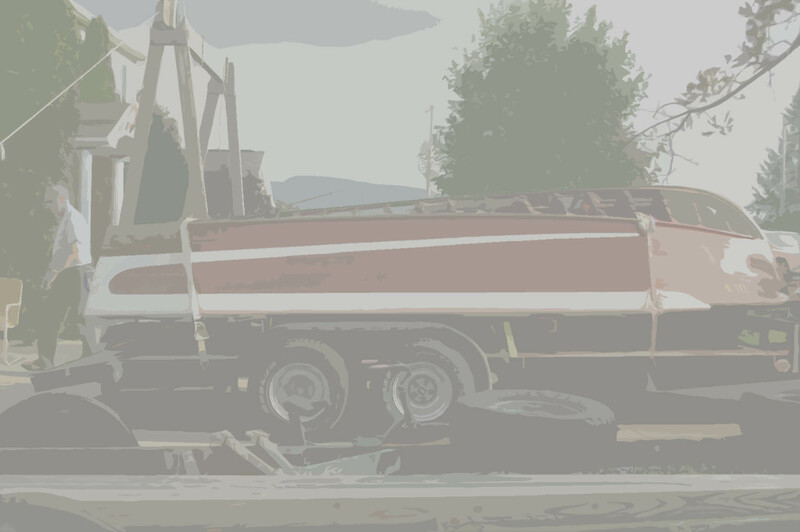 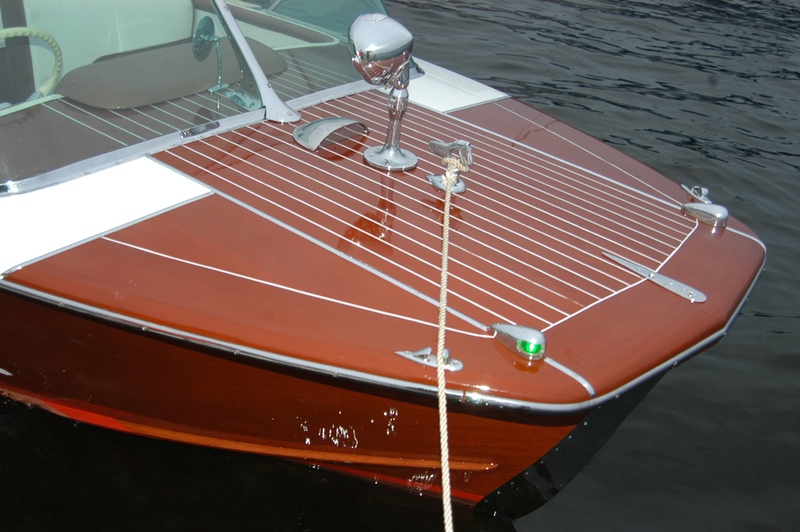 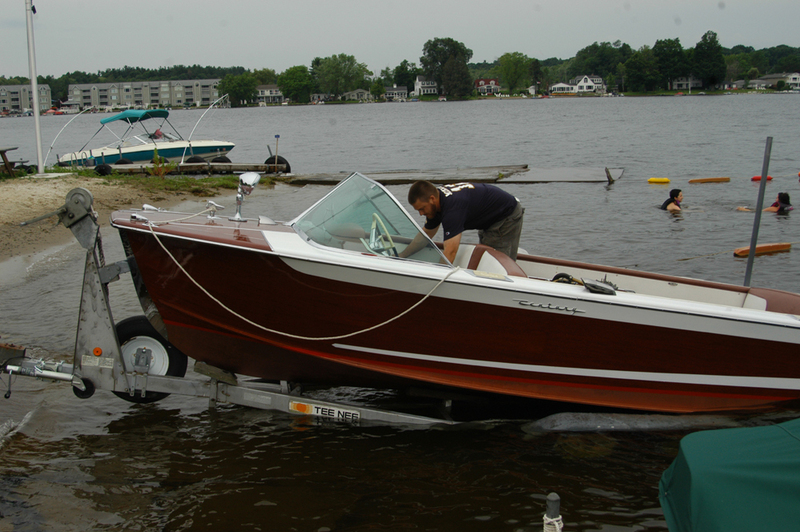 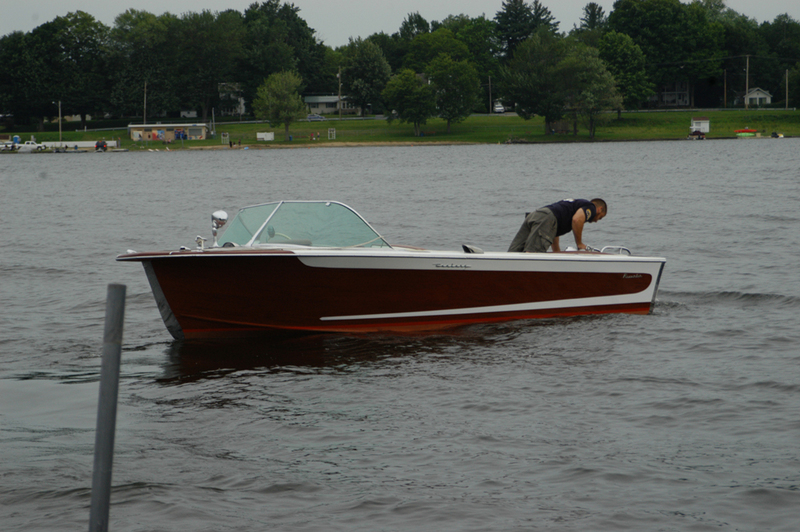 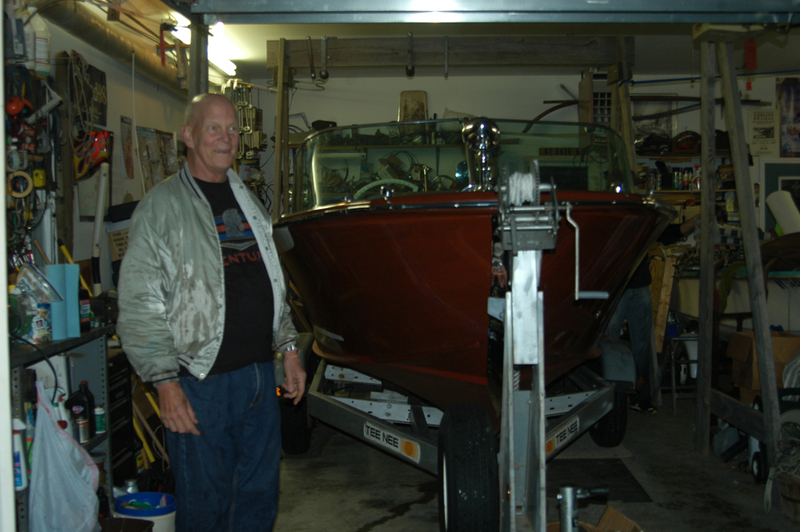 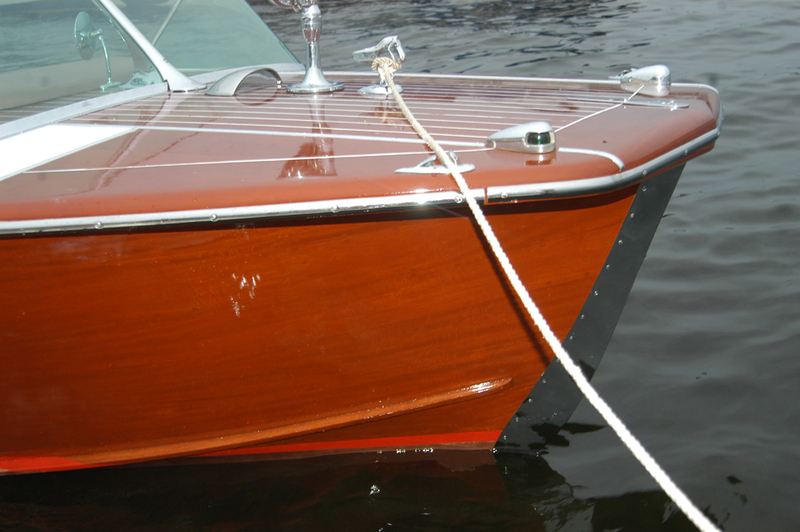 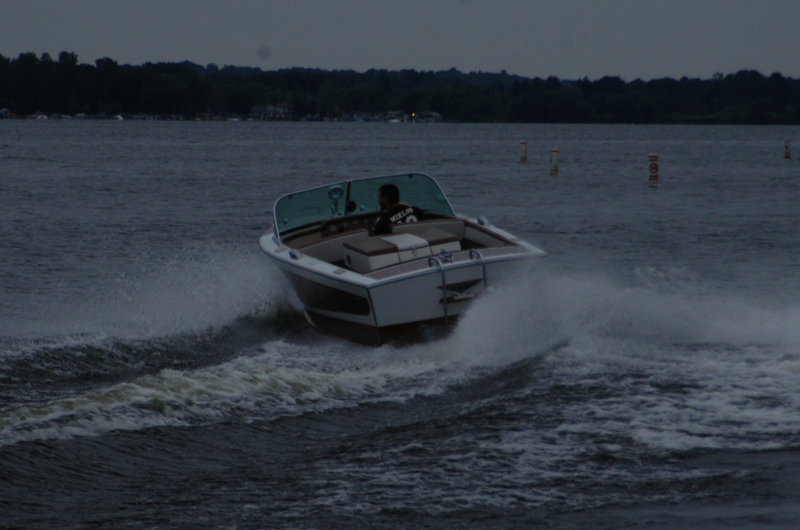 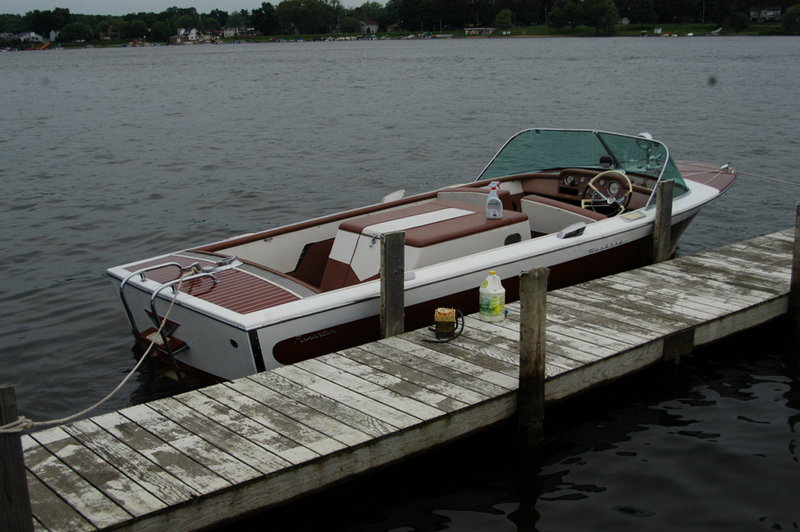 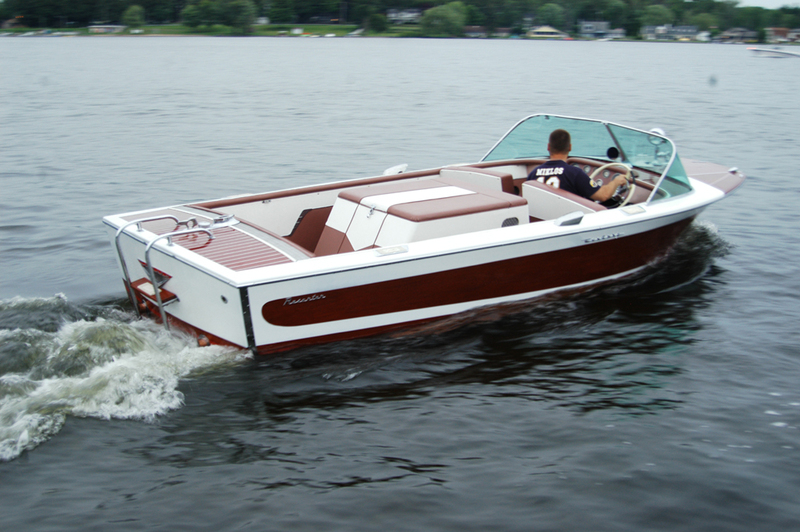 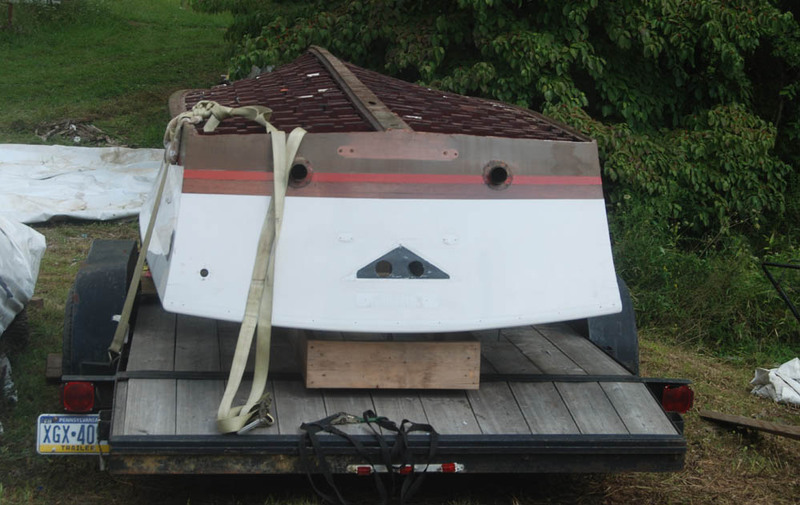 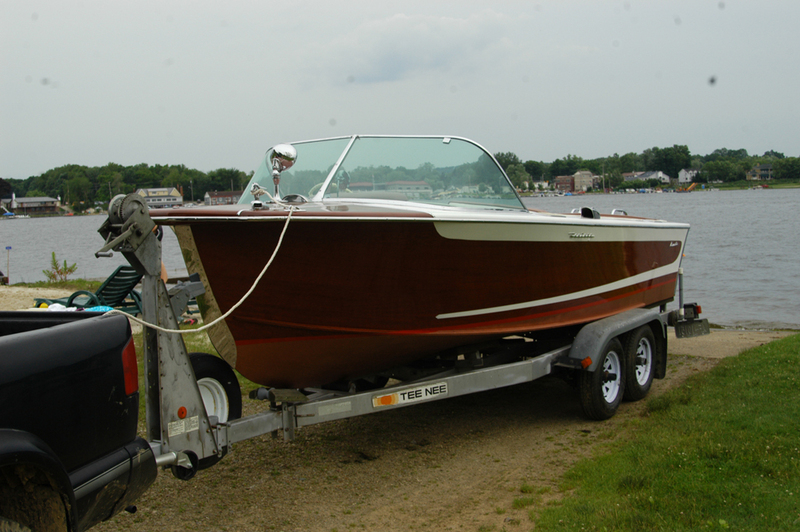 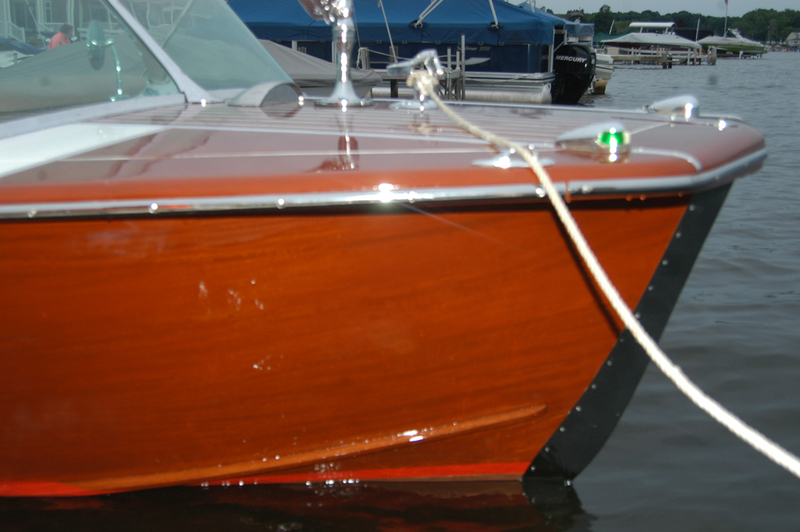 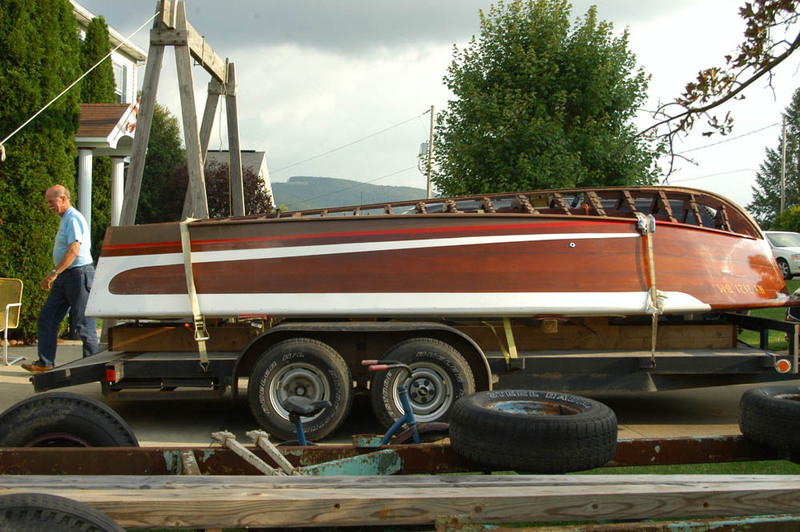 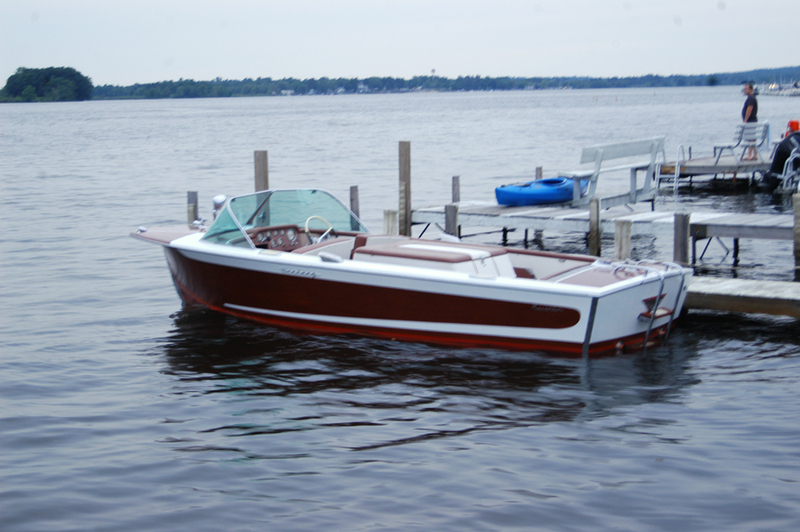 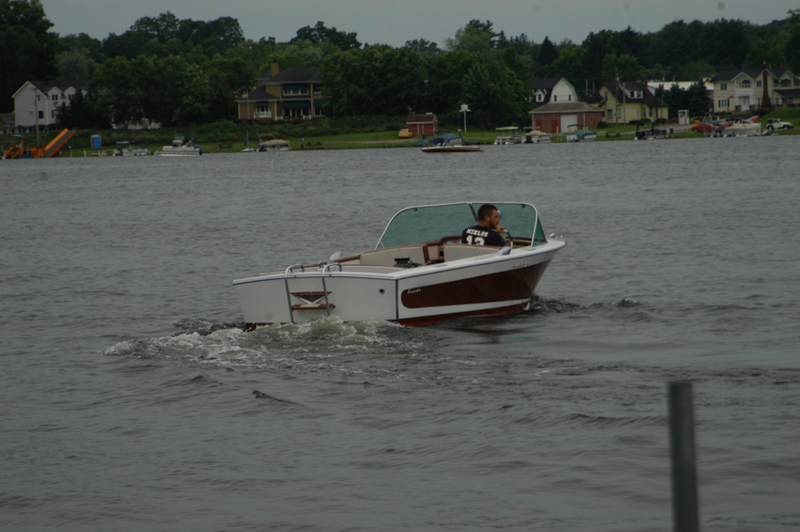 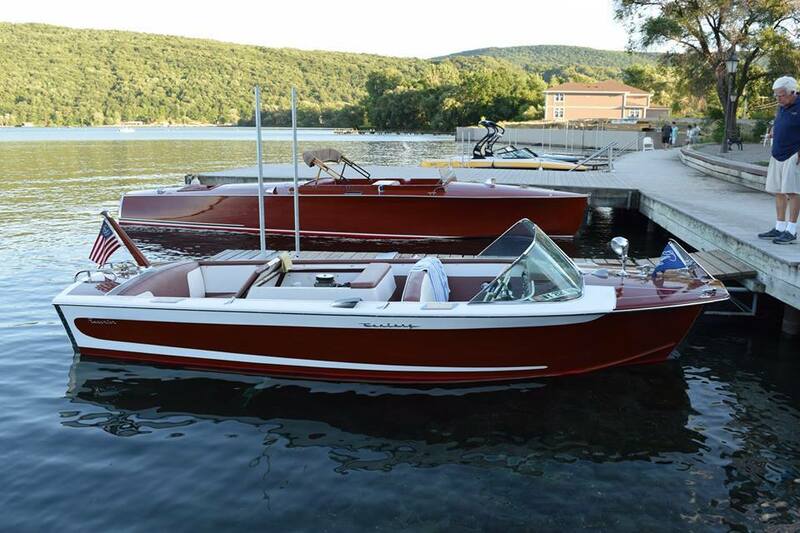 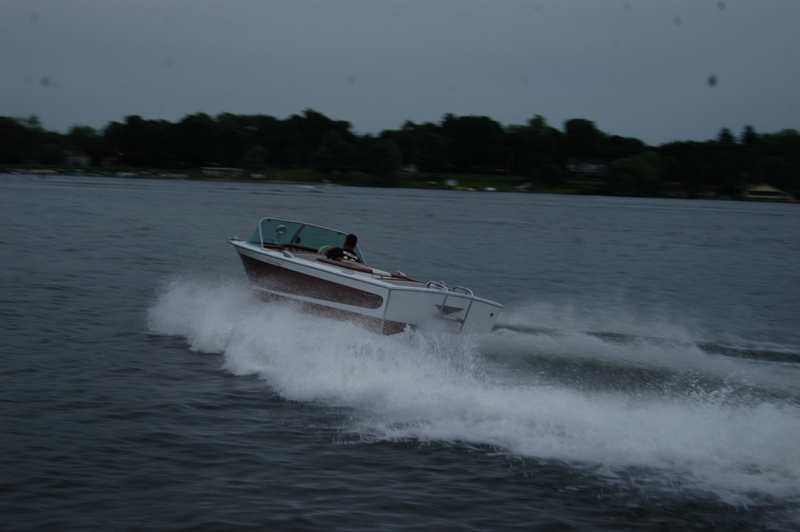 It is on display at the Conneaut Lake Classic Boat Show (Century Thoroughbred Roundup) June 19, 2015.